Has anyone else encounterd this? 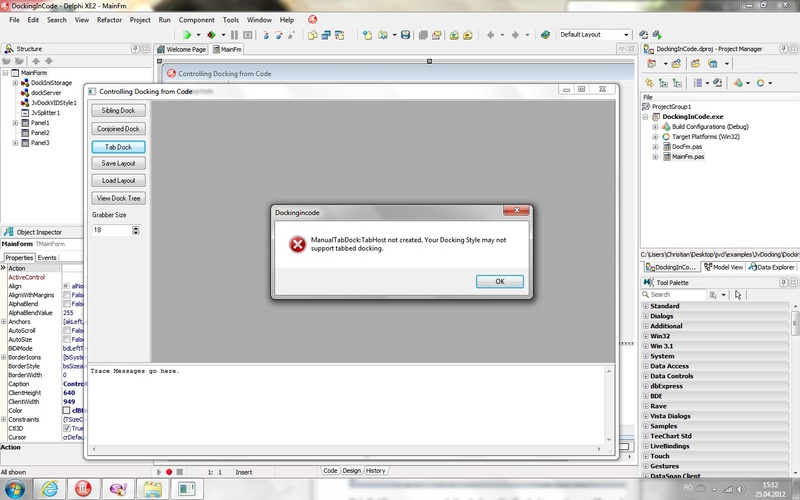 I tried to write the same code in the example in my own project but the same error appears." Additional Information	 Error message: ManualTabDock:Ttabhost not created. Your docking style may not support tabbed docking.